U.S. Sen. Maria Cantwell has shown an ability to collaborate across party lines on key issues, while also standing up when necessary to defend the interests of Washingtonians. Voters should re-elect her. Senator Maria Cantwell has proved she will work across the aisle to defend Washington state’s taxpayers, businesses and natural resources. Voters should re-elect her for another six-year term. As the ranking Democrat on the Senate Energy and Natural Resources Committee, Cantwell has consistently opposed efforts to expand drilling and mining on public lands, including in the Arctic National Wildlife Refuge. She helped block a recent attempt to increase entrance fees at national parks to $70, which would nearly have tripled the price of accessing Mount Rainier or Olympic National Park. This year, the three-term incumbent also helped secure more money for fighting forest fires, coupled with reforms aimed at boosting wildfire prevention. 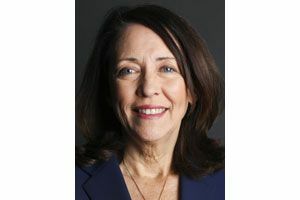 Strengths: As the ranking Democrat on the Senate Energy and Natural Resources Committee, Cantwell has consistently opposed efforts to expand drilling and mining on public lands, including in the Arctic National Wildlife Refuge. This year, the three-term incumbent also helped secure more money for fighting forest fires, coupled with reforms aimed at boosting wildfire prevention. Cantwell’s other laudable efforts include fighting to reauthorize the Export-Import Bank — an important tool that helps Washington companies compete globally — as well as extending Washington taxpayers’ ability to deduct state and local sales taxes on their federal returns. In her current campaign, Hutchison frequently slips into misleading talking points that eerily echo the president’s tweets. During an Oct. 8 debate, she responded to a question about restoring civility in Congress by repeating a far-fetched conspiracy theory about liberal billionaire George Soros paying people to protest Brett Kavanaugh’s Supreme Court nomination. When answering a question about how to combat intellectual property theft by China, Hutchison detoured into a non sequitur about the country hacking Hillary Clinton’s emails (a claim the FBI says is unfounded). What’s more, Hutchison’s campaign has included deceiving language in the state voters’ guide that wrongly suggests she has earned the endorsement of The Seattle Times in the current race. The Times’ editorial board did endorse Hutchison when she ran for King County executive nine years ago. But the board more recently wrote in October 2016 that she should be replaced as the head of the state Republican Party because of her comments. Hutchison’s voter-guide submission does not mention this. Undoubtedly, Cantwell could be stronger in some areas. The senator erred on the campaign trail this year, for instance, by not committing sooner to a schedule of public debates. Yet in this race, Cantwell is clearly the better choice. Voters should not hesitate to return Cantwell to the Senate for a fourth term.